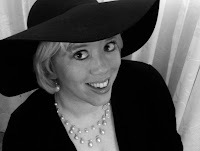 Today I'm thrilled to have a guest blogger - the bestselling author Bri Clark who is one smart and savvy lady. Long time followers of my blog may remember her other guest post: GMC and we Ain't Talking Trucks - that post has the 4th highest page views of my blog (it was 3rd, but Scent of Magic Cover Art knocked it out). 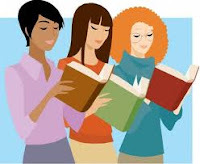 There is one element that defies publishers whether Indie, a big NY house, or the self pubbed author, a force that controls even the almighty Amazon, Walmart and Barnes and Noble. This power is a humble presence. It is so humble in fact, it does not realize its own strength. Whom am I speaking of? What could be so strong that it could defy traditional publishers and even Amazon? It is you my dear reader. I see your scoffing smirks and those rolling eyes. Once you can focus, again keep reading. You won’t be sorry. I'm guest blogging today on Sit Read Cook's blog about a typical day for me - there are pictures of my desk and various toys that keep me company :) We're also giving away a signed copy of INSIDE to a lucky winner - open internationally of course! You still have a chance to win one of 12 books if you post a comment by 11:50 pm EDST tonight on my Facebook status here: http://www.facebook.com/#!/mvsfans/posts/10150787697329322?notif_t=feed_comment I'm celebrating over 3000 likes by giving away lots of books! !